We were thrilled to see we were tagged on Style Me Pretty for Ashley and Shelby’s romantic vintage wedding at The Cooper Estate. From the beautiful Bride… The vision I had in mind while planning the wedding was “Vintage Elegance.” The Cooper Estate had the perfect aesthetic to go along with my vision! I also wanted it to feel warm and romantic, so I chose burgundy and gold tones, along with some light peach and ivory accents. Thank you, Ashley and Shelby, for having us! We truly appreciate your trust. DJ Buddy and Katrina recently enjoyed Easter Brunch at Sandpiper’s Cove, a restaurant at the Old Port Cove Marina in North Palm Beach. Kat reports the food was delicious and the service was excellent as you can read in her Yelp review. We often do events at Sandpiper’s Cove and can tell you that Dolores, Kerri, and all the staff will always treat you as the guest of honor! Make your reservation at (561) 626-2280 and discover for yourself the majestic beauty of Old Port Cove Marina. Hi there, it’s Debbi. On behalf of DJ Buddy, Katrina, and all the LET’S PARTY staff, we hope all our readers and clients have enjoyed their Easter/Passover/Spring Break! As you may well know, here in Florida we are coming into our off-season. We would like to thank all of you for another successful year in which we saw more action than ever. Here’s looking forward to another successful season! RKG Photography specializes in affordable, high quality photography. They can work within any budget and style to make memories that will last a lifetime! Rich Goldman uses state of the art digital equipment and custom software to give you superior quality without you having to spend too much. Call or email Rich today. 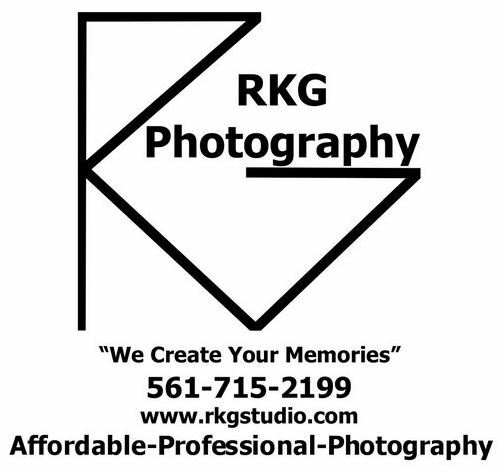 When memories matter, RKG Photography creates your memories! A Sunday night wedding? Why not? That’s what Pam and John wanted when they recently had their reception at the Pavilion Grille. They enjoyed us so much, they just had to tell us twice!